Good conservation practices result in healthy wildlife, including the game we love to hunt. We hear the word “radical” often. In July 2017, the idea of being radical in our faith came out of the Convocation of Catholic Leaders in Orlando, Fla. Since then, our archdiocesan curia has been talking radical hospitality — we’re even going through training on how to be more radical. Among my favorite uses of radical is from an episode of the Meat Eater podcast, when host Steven Rinella referred to himself as a “radical conservationist.” That stuck with me. I want to be a radical conservationist. Trouble is, the adjective “radical” is too often associated people with dangerous, extremist beliefs. In that sense, radicals are trouble. But the origin of the word is from the Latin radix, which means root. To be radical, then, really means to be rooted and able to grow in a passion and calling. For the Catholic radical conservationist, that means understanding our participation in the outdoors as a call from God to be stewards of His Creation. These are our human roots; we know this from Genesis 1:26. So as we get into the full rut of our hunting seasons, let’s reflect on this call and commit to practices of the radical conservationist. Fair chase is an attitude, a lifestyle. It recognizes that, as caretakers of God’s creation, we have an ethical obligation to observe game laws, to be skilled marksmen, and to honorably present ourselves as being respectful of the animals and the hunt. We must honor the animals by making full use of them from field to table — eat what you kill and don’t waste parts — and from field to fly — skins, feathers and fur can be used for clothing, decor and tying our own fishing flies. Learn more about fair chase at www.huntfairchase.com. Share the Harvest distributes venison to families in need. 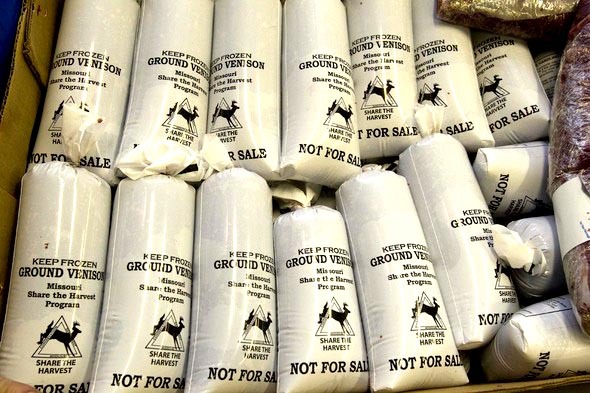 In the 2017 hunting season, Missouri hunters shared more than a quarter-ton of organic venison through Share the Harvest program, which distributes the meat to families in need throughout the state. A worthy challenge for the hunter blessed with ample opportunity is to donate the first deer to Share the Harvest. At the very least, we should donate any meat beyond what our families are able to consume in a year. We support conservation through permit purchases, on excise taxes on hunting and fishing equipment, and in Missouri through a 1/8 of one cent retail sales tax. We can do more by getting involved with organizations that work on habitat protection and restoration and policy advocacy. Whatever the passion, there’s a conservation organization that advocates for it. A good start is the Theodore Roosevelt Conservation Partnership, which works with dozens of groups to strengthen conservation’s voice. Visit www.trcp.org. The division between “environmentalists” and the huntin’ and fishin’ crowd needs to end. We all benefit from clean air, clean water and ample habitat. Those issues should unite us. Open minds and souls are required to fully understand each other and to build partnerships to reverse our human impact and preserve our environment for the good of all. This is God’s creation — we respect Him by caring for it. Read Pope Francis’ encyclical “Lautado Si’”. 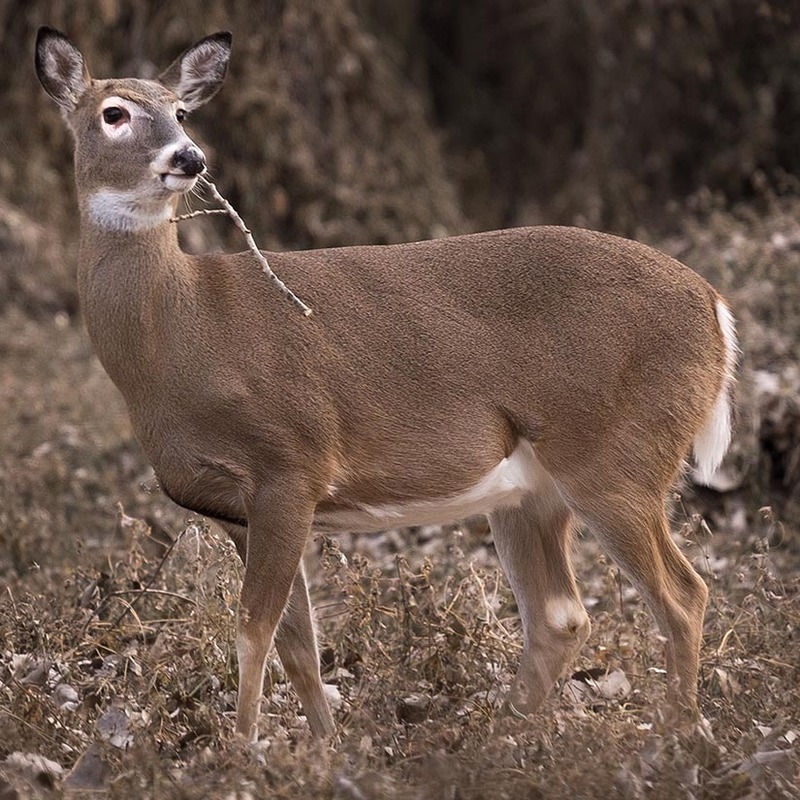 Chronic Wasting Disease is a lethal disease found in deer. It spreads among deer through body fluids. CWD was first detected in Missouri in captive deer in 2010 and in wild deer in 2012; since then the Missouri Department of Conservation has detected CWD in 76 free-ranging deer. Since it’s 100-percent fatal and can’t be eliminated once well-established, it has the potential to have a wide-spread impact on deer populations. Working with conservation agencies to test harvested deer for CWD will help develop management plans to mitigate the threat. Finally, share the hunt. In a 2016 survey, the U.S. Fish and Wildlife Service found that 60 percent of hunters were over age 44 and just 11 percent were under age 25; numbers were nearly the same for fishing. If we want to preserve our rights to hunt and fish — to be true stewards of creation — we must invite new and young radical conservationists. Phillips is the editor of the St. Louis Review and a radical conservationist. He and his family are members of St. Ambrose Parish. His occasional column, God’s Outdoors, explores conservation and outdoor recreation through a Catholic scope.